Feature Interview: Shelly Mazzanoble and Greg Tito talk about what happened at the Stream of Many Eyes, Origins Games Fair, and on Monday when Shelly couldn't make it to work. In this episode's interview, Greg speaks to Elisa Teague and Ivan Van Norman about writing the off-the-table sessions of D&D shown at the Stream of Many Eyes. Learn about how we put together the three sessions of heightened D&D in which the players and NPCs were all in costume interacting with the Dungeon Master as portrayed by Ivan Van Norman. Lore You Should Know: Chris Perkins goes over what the marut are all about – planar beings from Mechanus who enforce all contracts and agreements. Watch out #WaffleCrew! 9:49: Lore You Should Know with Chris Perkins – Marut! Then check out Dice, Camera, Action! 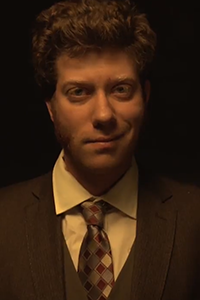 on twitch.tv/dnd Tuesday at 4pm PT, and catch up on the old episodes in the collection here. Elisa Teague is a tabletop game designer who has worked on well over 100 titles, including board and card games as well as RPGs. 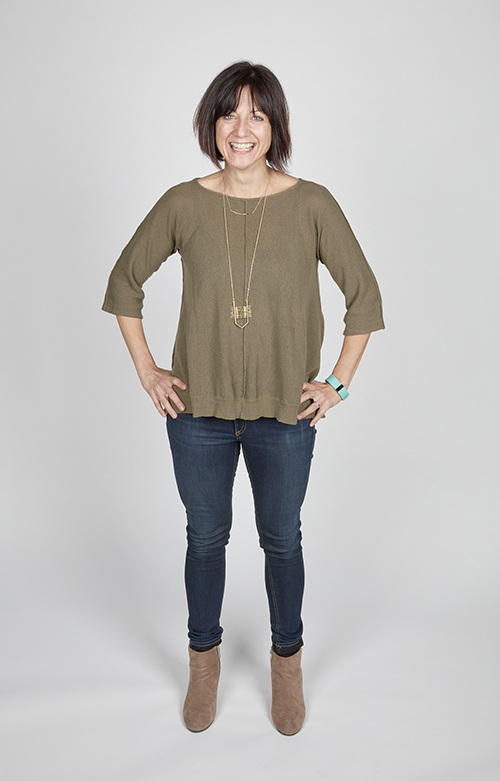 A veteran of the game industry of 18 years, her most recent titles include Betrayal at House on the Hill: Widow's Walk, Apocrypha Adventure Card Game, and new versions of her hit geeky trivia party game, Geek Out!, as well as adventure modules and content for RPGs such as Kids on Bikes and Dungeons & Dragons. She recently wrote the first Competitive Epic for D&D Adventurer's League ever written by a woman, and it was filled with puzzle challenges - a specialty of hers as a puzzle designer for various books, escape rooms, ARGs, and corporate events. 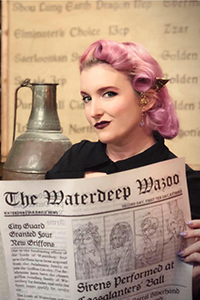 As a GM, her story-telling style, props and visuals, as well as creative encounters take the crunch out of gameplay and put the emphasis on an welcoming roleplaying environment. Ivan Van Norman iIvan Van Norman is a Host/Publisher/Executive Producer in the Hobby Tabletop Gaming and New Media World. Appearing on the behalf of Geek & Sundry, Smosh Games, C.net, Geek.com, Wizards of the Coast, and other great companies. Ivan is known for his unique form storytelling and has been declared a "Master of Suspense" from his peers and players due to his work inside the Horror RPG genre. He also plays board games like it is his job (because it kinda is). His publishing company, Hunters Books, is known for Artbooks, RPG’s, and board games. 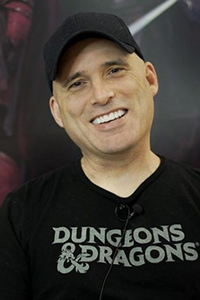 Hunters is responsible for the Award Winning Titles Outbreak: Undead, the ABCs of RPGs, and Chronicles of Exandria: Tales of Vox Machina - A Critical Role Artbook. Greg Tito has had weird and long career as an Off Broadway stage manager, a playwright, a theater carpenter, a secretary, an RPG designer, a games journalist, and now a PR/Marketing person. He has loved Dungeons & Dragons ever since 1985 when he found an old copy of the AD&D Dungeon Master’s Guide on his brother’s bookshelf and he honed that love of fantasy storytelling in the dark streets of Sasserine by way of the Upper West Side gaming group he joined in 2004. He moved his family (wife + two young kids) to Seattle in 2015 to work on D&D and he’s never looked back.